Have you ever thought about what strength is and how you get it? The Joseph Pilates definition of strength, is having a uniformly developed body with every single muscle strong and functioning to it’s maximum capacity and working in synergy. These days we call this functional strength. When you have functional strength, there are no limitations or restrictions to your movement and you can perform daily tasks easily and efficiently. It’s the natural, normal state your body should be in!And this is what the Pilates method of exercise is designed to do. Unfortunately, these days, we have come to think of having functional strength as the exception rather than the norm. We think that it’s normal to have aches and pains, poor posture and to get less capable and decrease strength capability as we age. Functional strength should be the foundation of ALL other strength training, fitness and sports activities. Once you have that baseline, then you can take a look at some different types of strength training programs and decide what is appropriate for your needs. Most people are familiar with body building. It’s probably the most well known type of strength training that really came in to prominence when “Arnie” started to become famous. Body building is a sport and takes a laser focused dedication to spending hours in the gym and eating a very rigid and restricted diet. The goal with body building is to maximise your muscle growth and strength. This is done by a continuous overload of the muscles with “weights” that force the muscles to adapt to the onslaught. It’s not only hard work, but intensity and pain thresholds get challenged as well. Most people never realise the maximum strength potential of their muscles for that reason alone, and the fact that most people these days are time poor and can not dedicate numerous hours each day to training. Unless you want to grow your muscles, remember that functional strength is the baseline. Then we have very specific strength training for sports performance. The type of training you do is dependent on the type of sporting activity you do. For instance, a sprinter would have a very different strength requirement to a triathlete. One requires dynamic power and the other require strength endurance. Power training requires massive muscle overload, through dynamic movements with very low repetitions and long rest periods between sets. It’s an advanced training method and should only be attempted with fitness professional’s guidance. 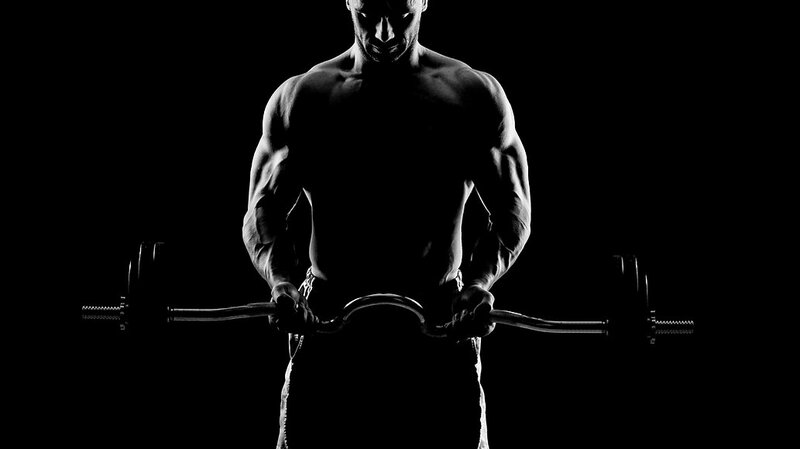 Strength endurance is the opposite and has lighter overload with higher repetitions and less rest between sets. Whilst not such an advanced training method, it does require guidance from a fitness professional to direct you with specific exercises, depending on the fitness or sport activity you participate in. This is what most people end up doing. It’s non specific in it’s goal which could include muscle tone, fitness, strength endurance, functional strength etc. The most popular way of doing this kind of strength training right now is with high intensity interval training. Lots of body weight exercises as well as less traditional “functional” weights like kettlebells, medicine balls etc. This all gets wrapped up in to a 30 minute, fast paced interval session where the heart rate gets elevated and you get a cardio workout at the same time. It’s efficient and effective (if done properly) but is non specific as far as strength goes. Regardless of the strength program that is most suited to your needs, if you don’t start with a foundation of functional strength, you are putting your body at risk of injury and making it much harder to be successful in your training. It’s a bit like building a house from the outside first, without laying the foundation or putting the structure up. It’s not stable, strong and will be unsafe, and eventually fall down! The Pilates method of exercise is THE foundation for all other strength training...full stop.